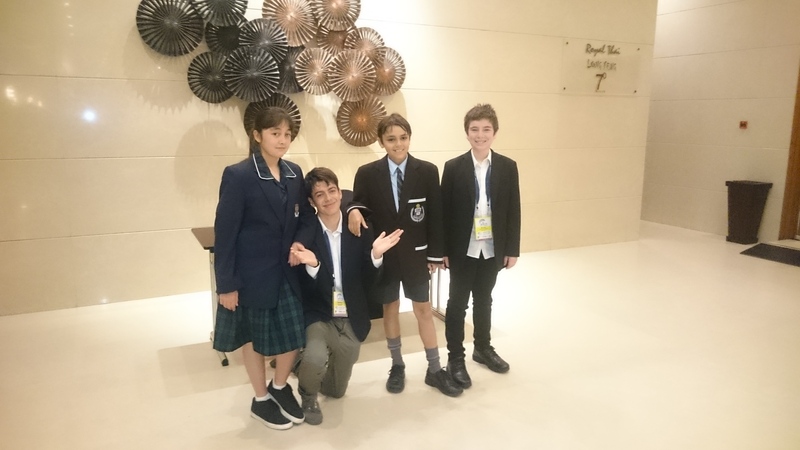 I spent much of last week in Sri Lanka at the Asia Pacific ICT Awards chaperoning one of the two Australian student teams. It was an interesting experience. The two teams were Josh Caratelli with the Smog Game and Declan Predavec, Nick Palmer and Nikita Pussell with Bin I.T! Josh is in his first year of university, the Bin I.T! team are in year 7 – so their perceptions of the event were slightly different. From the mentor and chaperone point of view it must be said that the event organisation left a great deal to be desired. Everything was more complicated and confused than necessary – from booking rooms through to organising transport – and ran late: This included the actual judging which began 45 minutes late without any decent explanation. There was also no real opportunity for the students to get together and share what they had done which was a great shame (the one scheduled event was abandoned when it hadn’t started two hours after it was scheduled). The Bin I.T! team had been really looking forward to meeting other teams, but the only opportunity to do so was by running round the opening drinks event and approaching likely-looking groups for shouted conversations to the backing of the blaring karaoke. The APICTA awards, like their local counterparts, seem to focus on businesses with the students being tacked on at the end – which given the effort and cost of being there is a great shame and a squandered opportunity. Probably the most disappointing thing is that even after sitting through three hours of an awards ceremony we still don’t know who won the student category and why. The win at APICTA will help me both on a career and a personal level. Wining both the State and National rounds in addition to having a chance to represent Australia is extremely exciting and it’s a dream come true, but more so personally for me, it’s validating. Validating, in terms of all the hundreds of hours and late nights we’ve spent on the game saying it’s all worth it. The awards and the prestige are an amazing motivator to ensure I stay on target and keep enjoying what I love doing the most. The recognition that comes with the awards will help me get reach those new targets I’ve set for my self. The highlights for the Bin I.T! team really lay in the opportunity to represent Australia at an international competition, and then outside the awards themselves with the visit to Sri Lanka – which is an amazing place. The APICTA awards are a fantastic concept and I can’t wait to see how they grow next year. I’d especially like to see more knowledge sharing at the events, it was hard to learn about the amazing innovations your competitors have brought to the world stage in any formal capacity. Also I noticed that there were only 8 women on a judging panel of more than 60 judges. It would be great to see more diversity in the judging line up next year. Like so many IT competitions, the validation that APICTA provides is supremely important. But before I took on the significant effort and expense of taking a group of younger schoolkids to an APICTA event again I’d want some assurance about the logistics and that there would be some opportunity to meet other students to share what these wonderful kids have done.